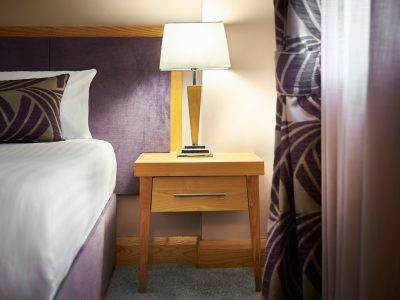 Every guest at the Suites Hotel Knowsley experiences something wonderful, something not available anywhere else in the North West. 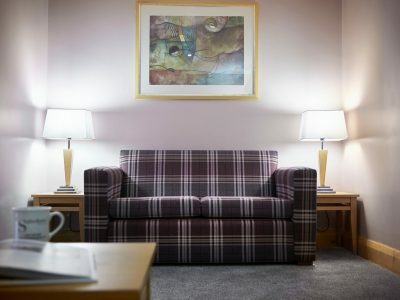 For the last 14 years, this family owned and run hotel is proud to boast that our unique hotel offers excellent standards in facilities and outstanding quality of comfort within each suite, to leisure visitors and business travellers alike. 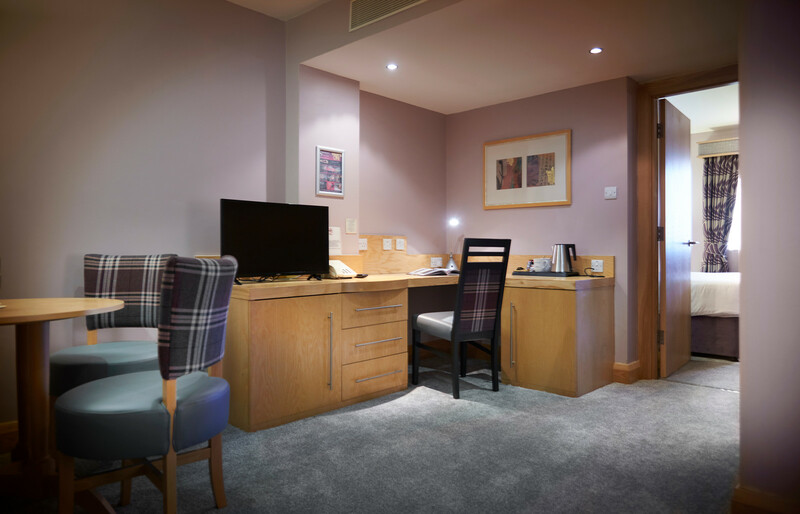 All of our Suites feature high technology communications areas, featuring free Wi-Fi and Freeview channels. The 98 suites provide visitors with the right balance of relaxation, comfort, luxury and high-end facilities. 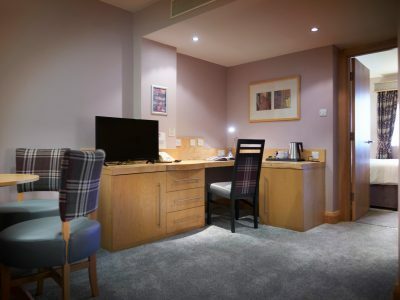 All suites include a spacious bedroom featuring a Super King Size zip-link bed, trouser press and ironing equipment, a personal safe, tea and coffee making facilities and en-suite bathroom. In addition to the bedroom, the suites include a lounge area which features a dining table and chairs, a coffee table and a sofa on which to relax and watch your second TV plus all rooms feature free Wi-Fi. 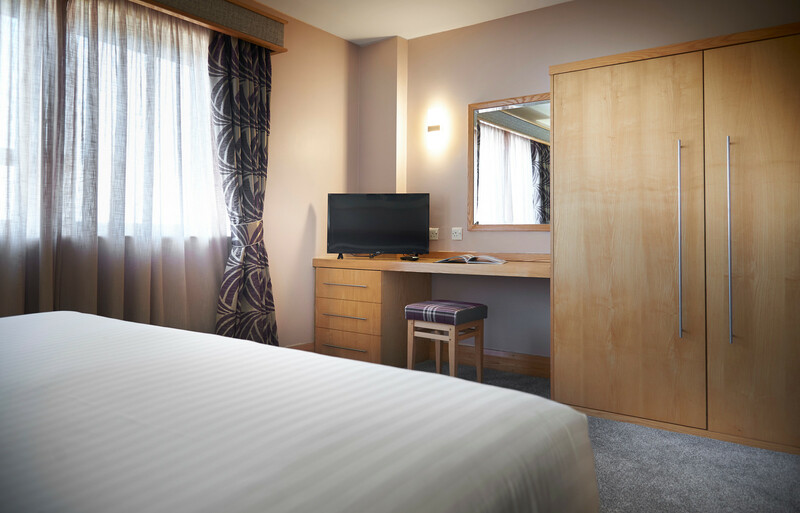 A selection of our rooms are available as Family Rooms which accommodate two adults and two children. We also have rooms featuring 2 single beds for twin occupancy. Upgrades available. 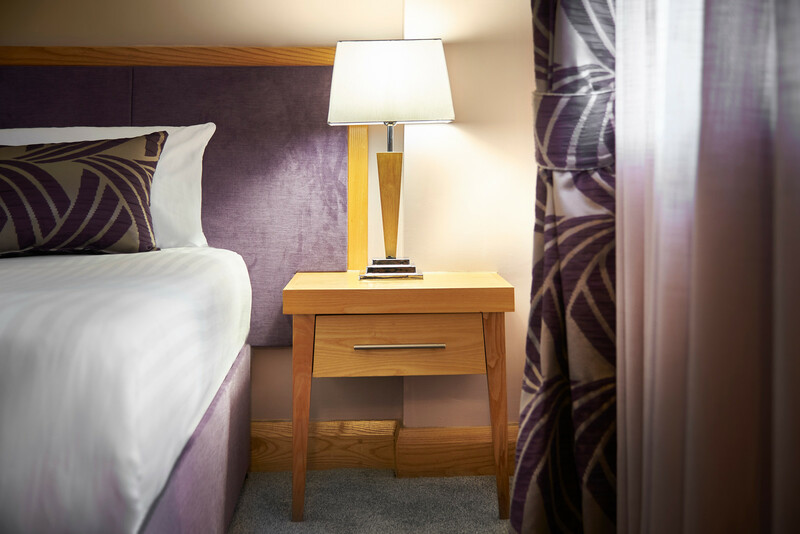 Our newly refurbished suites - Super King Sized Beds, 32 inch LCD curve televisions and luxurious finishing touches. A selection of our Superior Suites are available as Family Rooms which accommodate two adults and two children. We also have rooms featuring 2 single beds for twin occupancy. Upgrades available. LCD television, fridge, luxurious bathrobes and slippers, a larger bathroom and UNLIMITED free Wi-Fi. What is included in my room rate? Check in time is 3pm and check-out is 11am. Early check-in and late check-out is available please call our reservations team on 0151-549-2222. Breakfast is included with all room rates. Saturday-Sunday & Bank Holidays; 8am until 10.30am. Payment will be required on arrival by cred/debit card -NO CASH PAYMENTS WILL BE ACCEPTED. 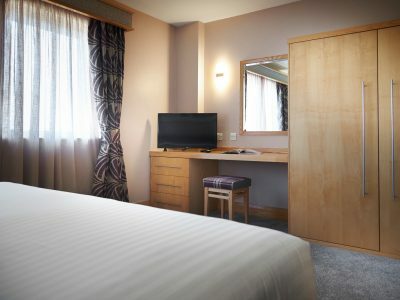 An authorisation of you credit/debit card will be required on check-in foe the total accommodation plus £30 per person per night for any extras incurred. All rates includes Full English breakfast, service charge, VAT, and full use of our leisure facilities- 18m heated swimming pool, sauna, steam room, Jacuzzi and cardio suite. Spa facilities and spa treatments can be booked separately by calling the spa team direct on 0151-549-5400. Our cancellation policy is before 10am on the day of arrival any time after this and there will be full cancellation charge applied to the card used to make the reservation. All non-arrivals will be charged in full for the 1st nights accommodation and if any consecutive nights are booked the accomodation will be released without notification. The Suites Hotel is a non-smoking hotel. If there is evidence of smoking in your suite after your visit we reserve the right to charge £100 towards the cost of professional cleaning.